The benefits of massage have been studied for a long time when it comes to the effect of humans. However, the positive effects are as beneficial for dogs as they are for humans. Therefore, we've decided to show you 5 reasons why your should massage your dog. 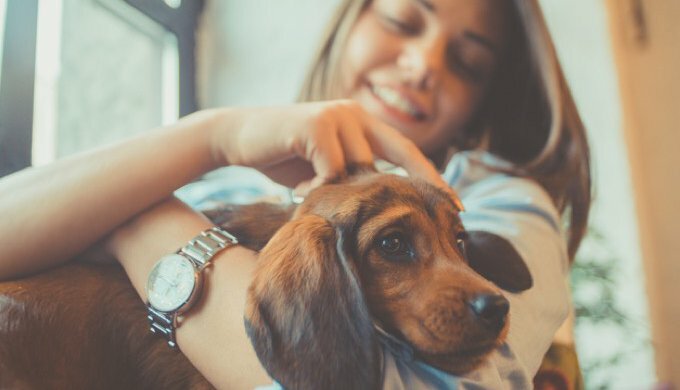 Massaging your dog may seem a bit weird at first, but in truth, it will improve the quality of life of both your own and your dog's life. Massages are well known for causing physical relaxation, but this also goes for mental relaxation. The sensation of massage reduces stress and has been shown to reduce anxiety and aggressiveness in dogs who have a tendency to be so. Calming and relaxing your dog will also help them fight illnesses and treat trauma that your dog may have gone through. Stimulating the tissues and muscles of your dog improves the circulation of their blood. Having good circulation allows more oxygen to penetrate into the tissues so if your dog has any injuries, they will heal faster. Massaging your dog also improves their ease of movement. Your dog's heart will beat more slowly. Massages also reduce spasms and the production of lactic acid which can cause pain to your dog. We all love spending time stroking our dogs. So why not offer them a more regular massage session? Spending time with your dog is necessary in order to have a harmonious relationship. We love to be trusted by our dogs and love to live a peaceful, happy life together. It is therefore necessary to show your dog that you are there for them as a pet parent, in order to give them a happy life. Some dogs are very independent, but this doesn't mean that they don't need attention from their pet parent. In reality, dogs, even the most independent, love spending time with their pet parents. While you're massaging your dog, you could feel injuries invisible to the naked eye, or even those that are starting to form. These symptoms will be much easier to spot if you massage your dog often. Rapid detection of an anomaly is always beneficial to the veterinary who will treat any problem. #5 Massaging your dog will improve your health! Massaging your dog is also very good for you. Science has also shown that having a dog is very good for the health of pet parents. Living with a pet reduces stress, reduces blood pressure and also improves moods. This is why dog parents are considered as happy with their lives and themselves! Massaging and cuddling your dog has therapeutic virtues. Science has shown that this improves the lives of those who are dog parents, whether they want to admit it or not!